The Solomon R. Guggenheim Museum. © Holt-Smithson Foundation/VAGA. Licensed by Viscopy, 2017. We are thrilled to announce an exhibition dedicated to the short life of prolific American artist Robert Smithson – widely recognised as one of the most influential artists of the twentieth century is coming to UQ Art Museum. 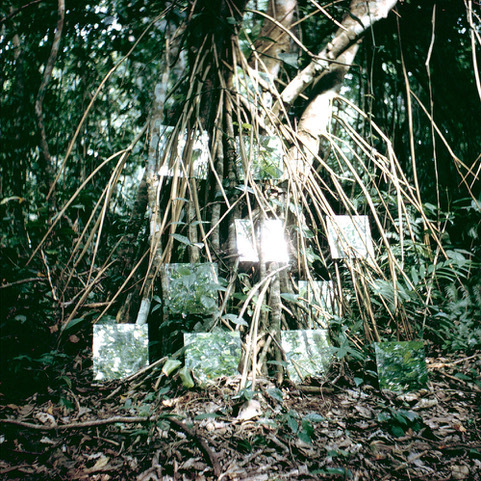 Robert Smithson: Time Crystals draws together key works of sculpture, film, photography, drawing, prints, and texts, most of them never previously exhibited in Australia. Best known for his radical land art of the 1960s and early 1970s, the Smithson exhibition will feature artworks loaned from major Australian and international collections. The Smithsonian Institution’s Archives of American Art in Washington DC will loan items from Robert Smithson’s personal papers and library for the first time in Australia. The largest loan ever from the Archives of American Art will include sketches, preparatory drawings, correspondence, photographs, and handwritten manuscripts. Exhibition co-curator Dr Amelia Barikin of UQ said a distinctive aspect of the exhibition was its juxtaposition of key artworks with rarely seen archival material. “Smithson was a prolific writer and an avid collector of visual material, with many of the items in his collection serving as source material for his projects. Co-curator Professor Chris McAuliffe of ANU said Smithson’s art was driven by a playful, labyrinthine imagination and the exhibition aimed to provide a portal into his mind. “Smithson was inspired by ideas of crystalline geometry and non-biological time. He used the term ‘Time Crystal’ as a metaphor for endlessness, and as a visualisation of static, frozen time. UQ Art Museum Director Dr Campbell Gray said the strong support for the project from the Terra Foundation for American Art and Holt-Smithson Foundation was visionary and would enable an expanded understanding of American art in Australia. “For an artist who died in 1973 at age 35, Robert Smithson had an unusually powerful influence on contemporary art theory and practice. Robert Smithson: Time Crystals will show at UQ Art Museum from 10 March until 8 July 2018 before travelling to exhibition partner, Monash University Museum of Art. See the UQ Art Museum website for updates on programs and events. Robert Smithson: Time Crystals is a partnership between The University of Queensland Art Museum and Monash University Museum of Art. This exhibition is made possible through support from the Terra Foundation for American Art. It has been developed in cooperation with the Holt-Smithson Foundation.